On Saturday October 20, 2018, the Cossack Cadet School in Honor of the "Don" Icon of the Mother of God and the martial arts school Combat Karate came together for the "Pokrov" Cossack Games held at Holy Ascension Church. On October 14, 2018, the choir of Holy Ascension Church honored its patron Saint, Saint Roman the Melodist. His Grace Bishop Irenei of Richmond and Western Europe congratulated the choir conductor, Alexandra Volmensky, and all of the members of our choir and thanked them for their diligent and excellent work in leading the community in prayer. 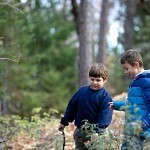 Lunch was enjoyed out in the parish yard on the warm autum afternoon. On Monday September 24, 2018, the Monastery of Saint Silouan the Athonite observed its patronal Feast Day. 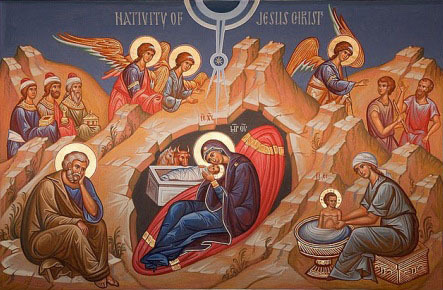 The Divine Services were presided by His Grace Theodosy Bishop of Seattle. 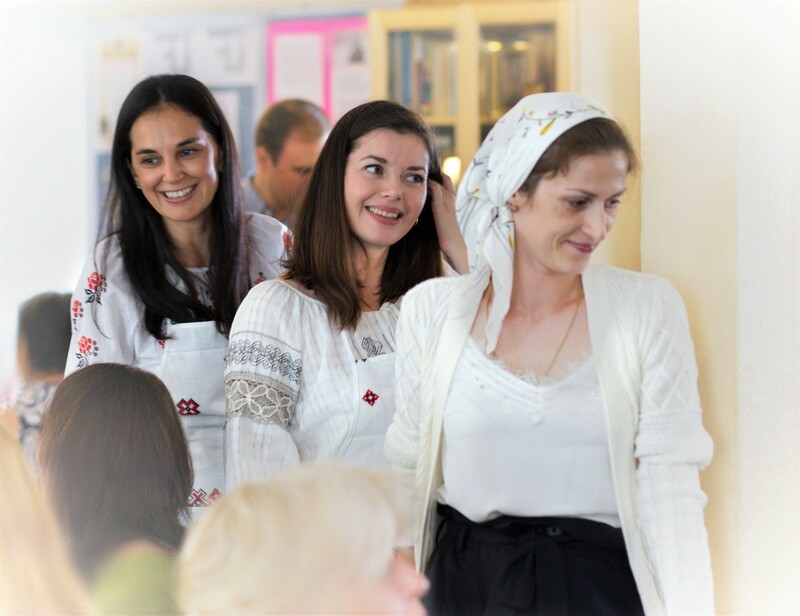 On Sunday September 23, 2018, Holy Ascension Church marked the annual celebration of the Sisterhood's Feast Day in honor of the "Kursk-Root" Icon of the Mother of God (8/21 Septmeber). One of the very first icons of our parish is the "Kursk-Root" Icon, a copy of which was brought by clergy from San Francisco to Sacramento as a gift at one of the first gatherings of the parish founders way back in 1953. 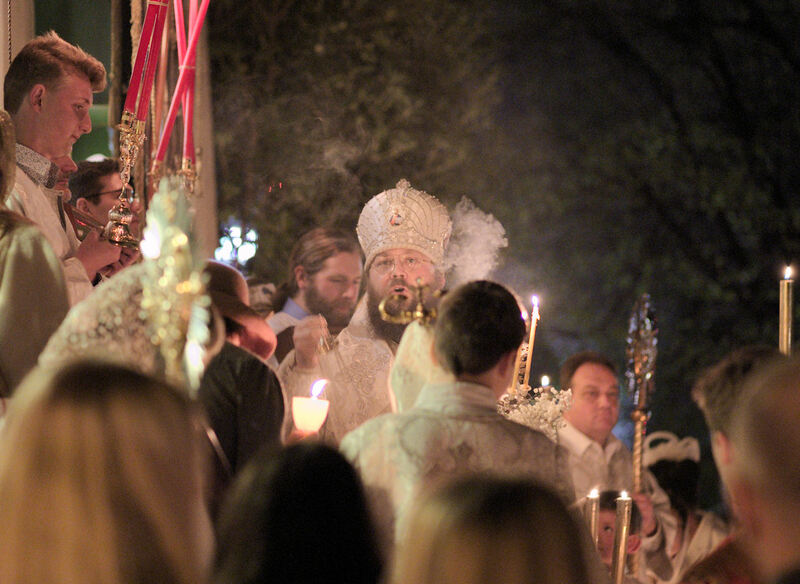 Join our parish on October 13th for The 5th Annual Russian Festival in the heart of Downtown Sacramento! We announce that Leonid Barsukov reposed in the Lord Sunday September 16 at approximately 10:40 PM, an hour after receiving the Holy Mysteries. 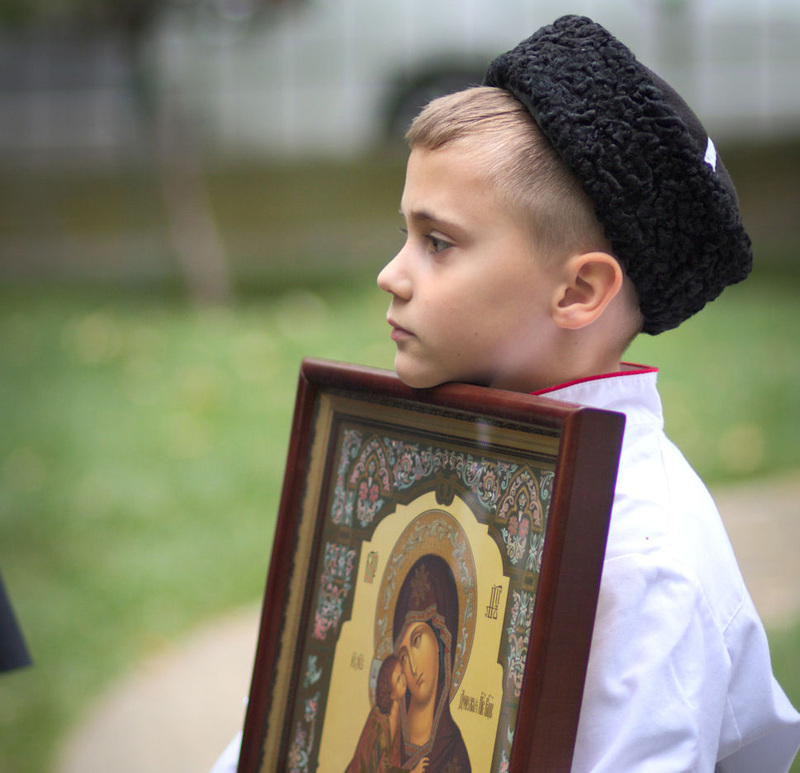 On Saturday September 1, 2018, the Cossack Cadet School in Honor of the "Don" Icon of the Mother of God at Holy Ascension Church celebrated its feast day with the opening of the academic year. The day began with a procession to the church and a molebin at with time the clergy, teachers, pupils and their parents asked for God's blessing upon this endeavor. 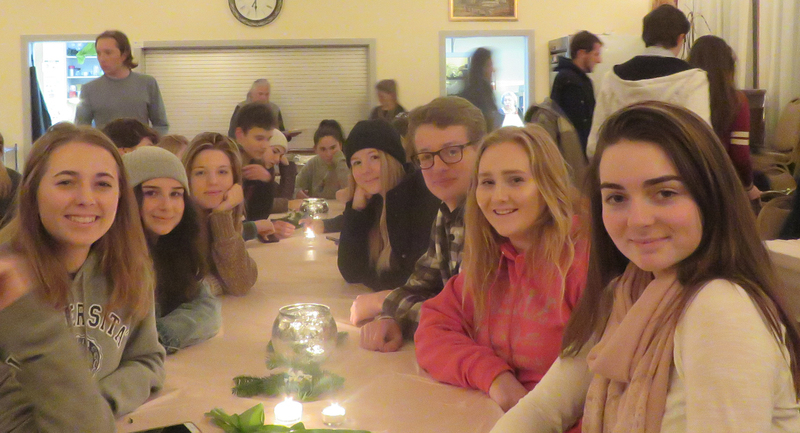 The day continued with Cossack sports and was completed with a fine meal. 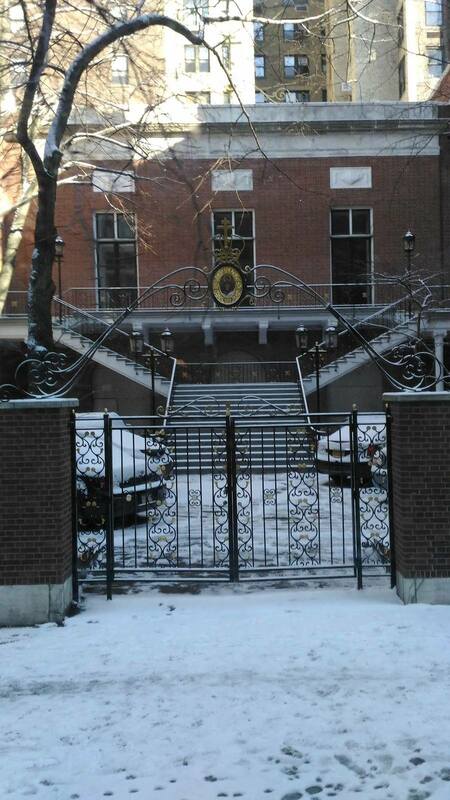 Those interested in enrollment in our school should contact the school administrator Valentina Tkachenko. On Sunday August 19, 2018, His Grace IRENEI Bishop of Sacramento presided over the Fesat of the Transfiguration of the Lord. On Thursday August 2nd, 2018, His Grace Irenei Bishop of Sacramento presided over the Patronal Feast at Saint Elias Church in Diamond Springs, CA. From July 22-28, 2018, teenagers and members of parish school of Holy Ascension Church participated in diocesan sponsored youth workweek at Saint Silouan's Monastery in Sonora, CA. 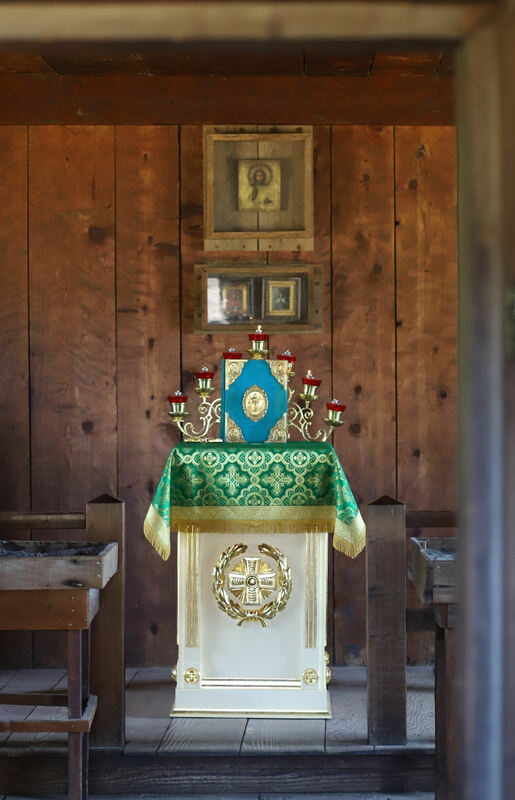 On Saturday July 21, 2018, several parishioners of Holy Ascension Churh attended the Feast Day of the "Kazan" Mother of God and the "Kazan" Church in Guerneville, CA. Many thanks to those from our community that participated in the preparing the meal after Divine Liturgy. 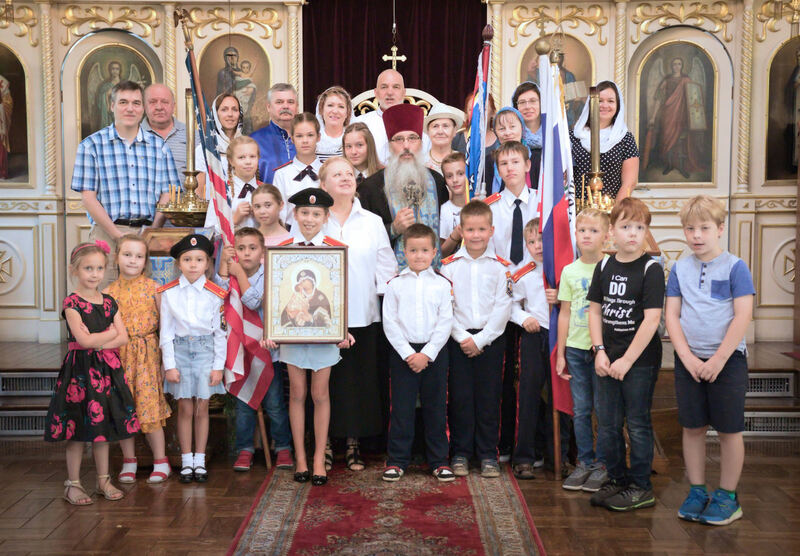 On July 17, 2018, our neighboring parish in Reno, NV, which is dedicated to the Holy Royal Martyrs of Russia marked the Centennial of martyrdom of Holy Tsar Nicholas II and his family and servents. The Rector and parishioners of Holy Ascension Church undertook a pilgrimge to mark the patronal Feast Day and Centennial with the local founders and parishioners. 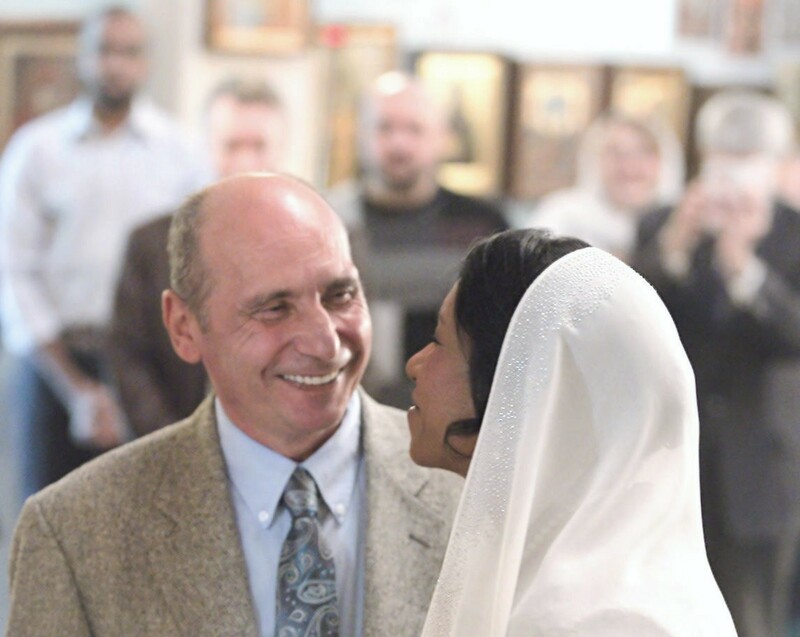 On Sunday July 15, 2018, the community of Holy Ascension Church marked the Names of Father Rector Archpriest Paul Volmensky. 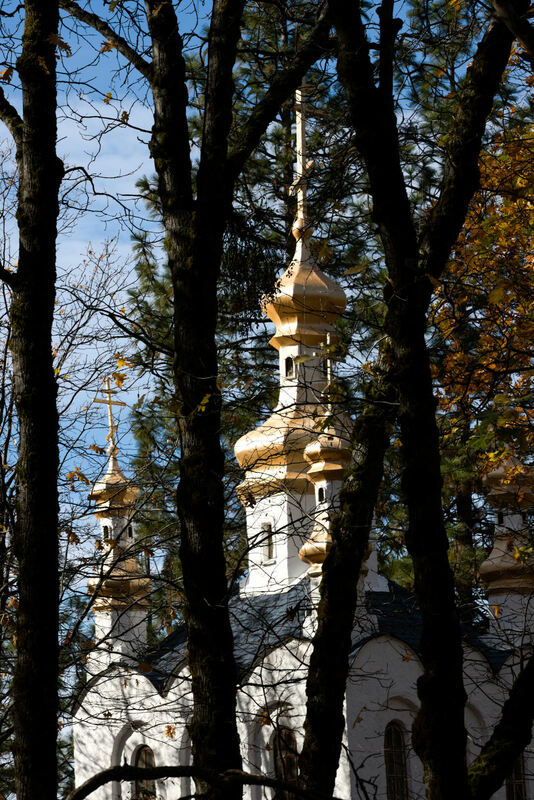 Father Paul had just returned from a pilgrimage to Russia, his very first visit. This pilgrimage had been a gift from the parishioners given in 2016 on the occassion of his 30 years of service at Holy Ascension Church. 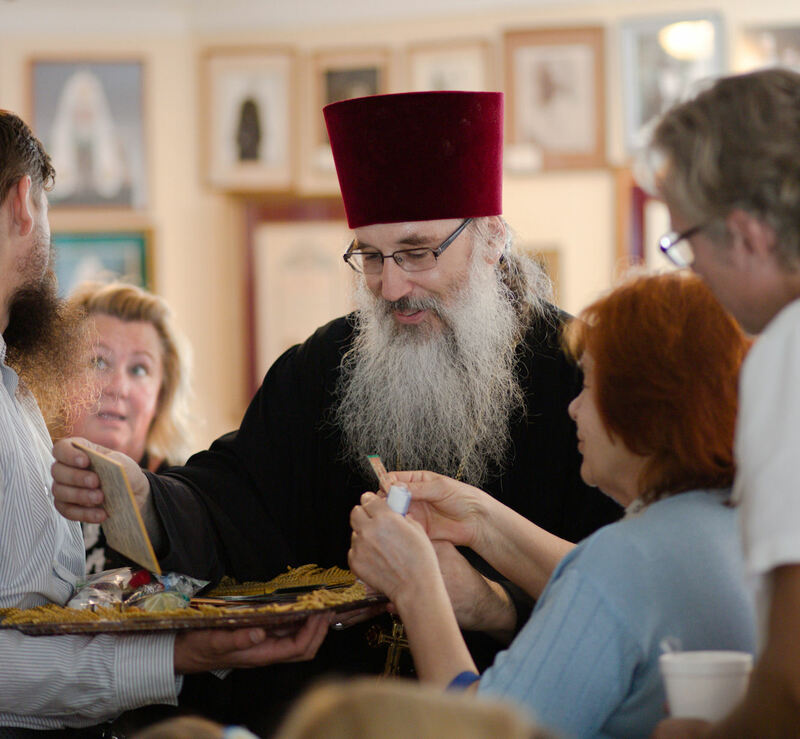 On May 28, 2018, the clergy and parishioners of Holy Ascension Russian Orthodox Church of Sacramento joined other pilgrims of the Western American Diocese for the annual pilgrimage to Fort Ross, near Jenner, California. On Sunday May 13, 2018, Mother's Day was celebrated at Holy Ascension Church in various ways. 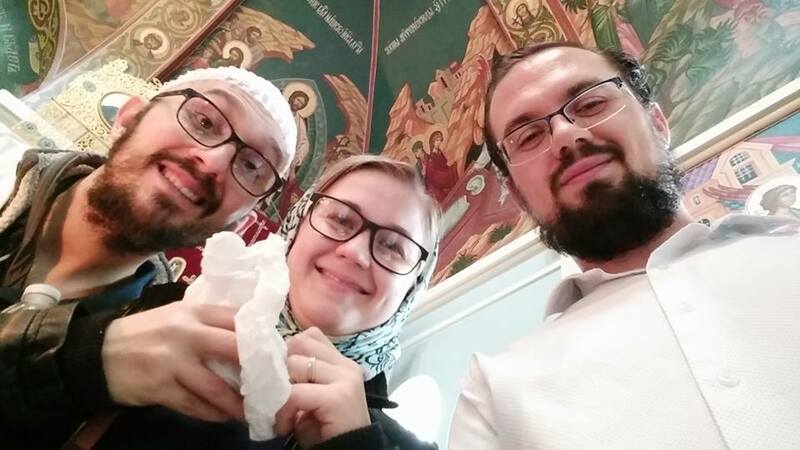 Before Divine Liturgy infants Sebastian Loghin and Andrea Cazacu were baptised in honor of St. Sebastian of San Franciso and Jackson the Wonderworker and Holy Apostle Andrew the First-called respectively. 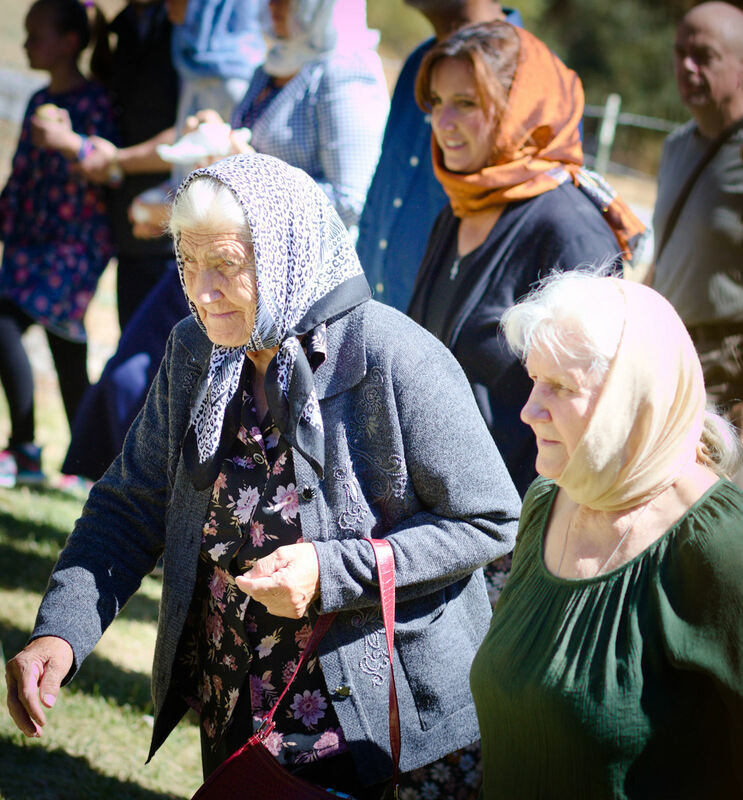 After Divine Liturgy the community enjoyed shashlyk prepared by some of the men, while the salads had been prepared by the Sisterhood. Cakes marking the Baptisms made for a tasty dessert. At the end of the day all mothers, grandmothers, god-mothers, future mothers and anyone who had manifested motherhood in one way or another were invited to participate in a group photograph. 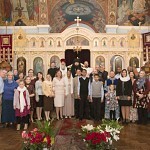 Congratulations to the Loghin and Kazacu Families with this triumphant day of the Baptism of their children. Many Years! On May 13, 2018, two infants were Baptized: Sebastian Loghin and Andrea Cazacu. 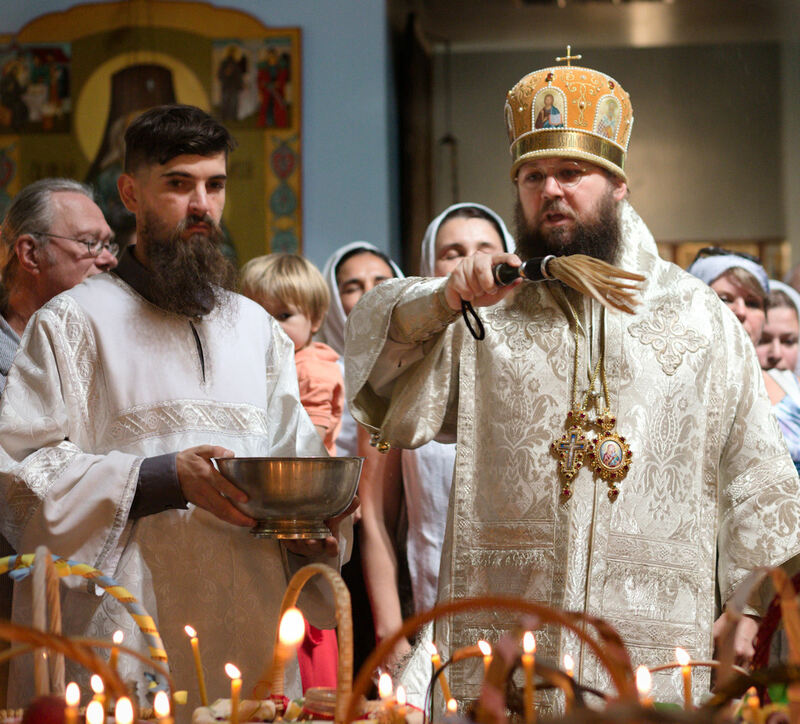 The newly illumined were churched during the Divine Liturgy just before Holy Communion. A reception followed in the church hall where congratulations were offered to the newly-illumined infants, their god-parents and parents, and all mothers as well. 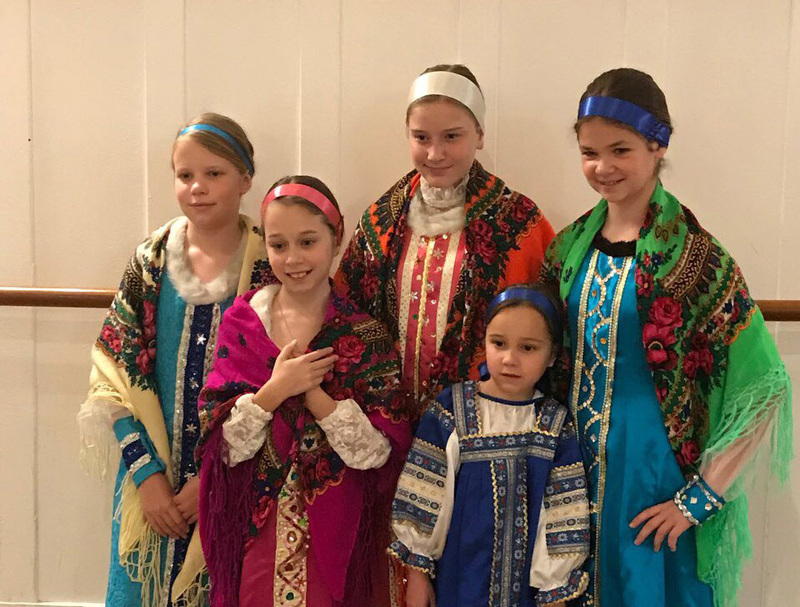 Pupils of our Western American Cossack Cadet School in honor of the “Don” Icon of the Mother of God under the artistic guidance of their teacher Oxana Marin performed in the 87th Annual Day of the Russian Child held at the Russian Center in San Francisco, CA, on April 29th, 2018. His Grace Irenei Bishop of Sacramento presided over Divine Services at Holy Ascension Church on Pascha this year, April 8, 2018. 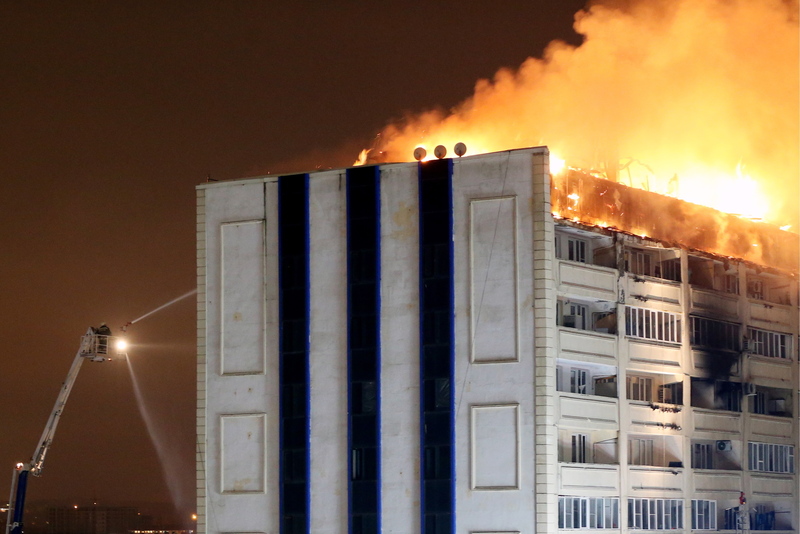 Below is a photo report by Ella Chichkan. The Media Department of the Western American Diocese recently released a video report about the 11th Annual Saint Herman's West Youth Conference held in Seattle, WA, from December 26 to 30, 2017. On the Sunday of the Cross, March 11, 2018, His Grace IRENEI Bishop of Sacramento presided over the Divine Liturgy. Our church was filled to capacity, with many communicants as well. 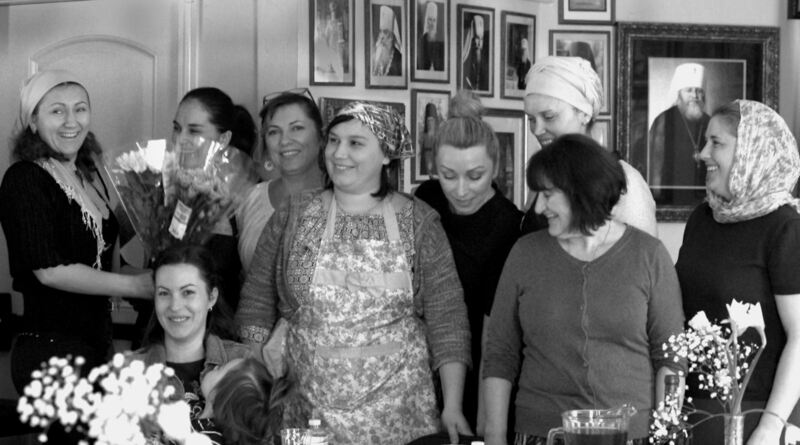 An annual dinner held on this day for decades was hosted for the secon year on a row by our women from Moldova. Many thanks for the labors and for sharing their traditional dishes. 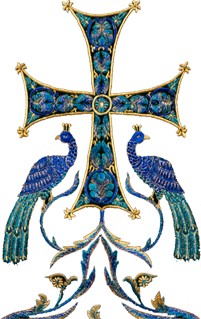 On the 7th of January, 2018, the Feast of the Nativity of our Lord Jesus Christ, a new reader was tonsured for Holy Ascension Russian Orthodox Church of Sacramento. 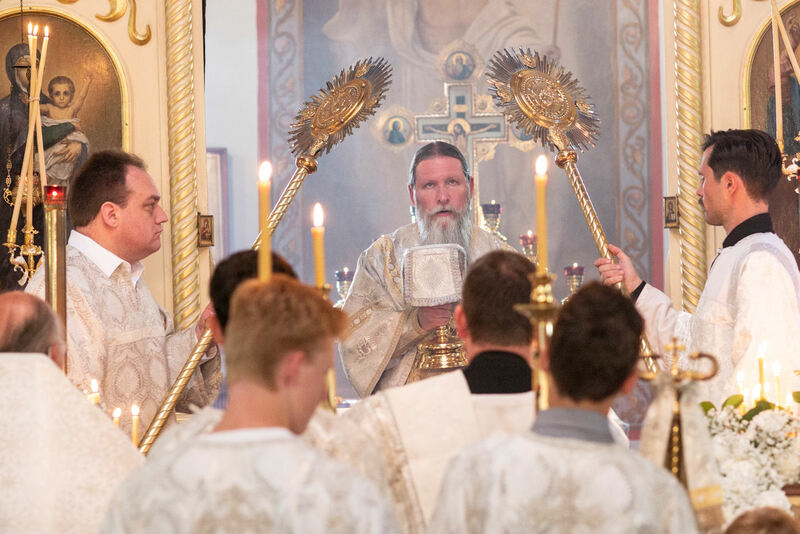 His Grace Irenei Bishop of Sacramento presided over the Divine Liturgy on the Feast day, surrounded by clergy and a multitude of altar servers and faithful.